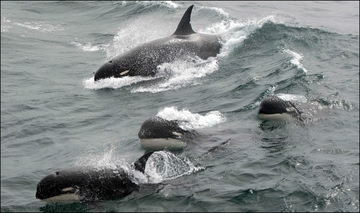 In January 2019, an international team of scientists working near the tip of southern Chile got their first live look at what might be a new species of killer whale. Collected genetic samples will help determine whether this animal, with its distinctly different color pattern and body shape, is indeed new to science. In the meantime, check out some amazing footage. 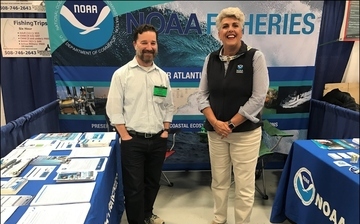 In his latest leadership message, NOAA Fisheries Assistant Administrator Chris Oliver invites you to join us at Seafood Expo North America in Boston, March 17–19. Check out our schedule for panels and Open House hours, and come by our booth (#181) to meet our experts in seafood inspection, commerce and certification, and aquaculture. 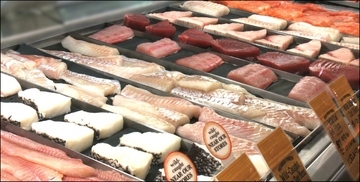 The National Seafood Inspection Laboratory has developed a tool that can flag potentially mislabeled finfish fillets before they hit the seafood aisle. 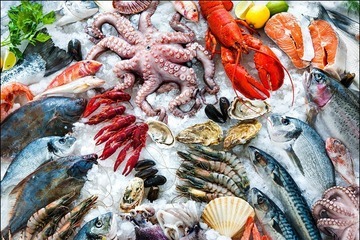 The web-based Species Substitution & Protein Pattern Matching Tool could help the seafood industry address finfish fraud that thwarts consumer choice and introduces food safety risks. 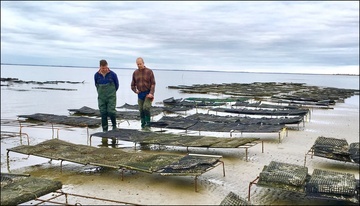 In 2017, NOAA’s National Sea Grant College Program funded a multi-institution, national collaboration to examine impediments to shellfish aquaculture across the United States. A new story map brings together the results of those efforts to share case studies of common barriers and success stories around the nation. 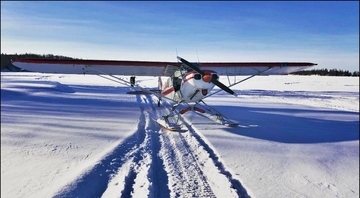 Anchorage resident Tyler Brown landed his Super Cub airplane with skis on a snow-covered tidal flat to investigate a bright orange object near a log jam. The object turned out to be a lost NOAA mooring package containing irreplaceable acoustic recordings of Cook Inlet beluga whales. After several years of unusually warm conditions, ocean waters off the West Coast are shifting toward a cooler and more productive regime that may boost salmon returns and populations of other ocean predators, according to a new NOAA Fisheries report. Hawaii’s charter fishing industry provides more than just unique fishing experiences and lifelong memories. 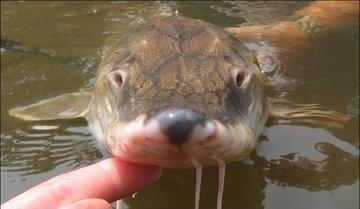 A recently-published economic analysis found that this fishery generated close to $50 million in gross sales and supported nearly 900 jobs statewide in one year. 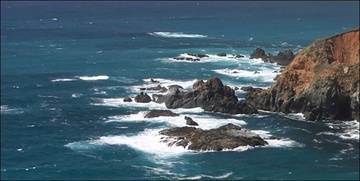 In addition, the researchers found that economic contributions from charter fishing in Hawaii extended to the U.S. West Coast, as well as the rest of the mainland. 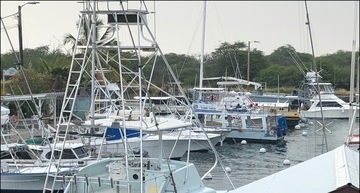 NOAA announced the 2019 red snapper federal for-hire fishing season. This year’s season is 62 days, compared to 51 in 2018. 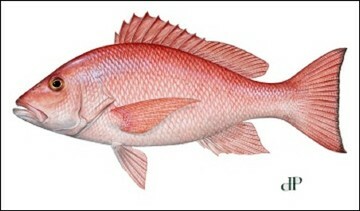 The 2019 red snapper private angling seasons for both state and federal waters were set by each of the Gulf of Mexico state agencies through NOAA Fisheries–approved exempted fishing permits. An entangled dolphin calf sighted near Englewood, Florida, is swimming freely again with its mother after being rescued by biologists. 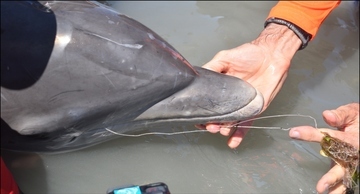 In order to keep mom and her calf calm, biologists held both close together while the team disentangled the calf from fishing line embedded in its tail and mouth. In 2017, Hurricanes Irma and Maria caused significant damage to the coral reefs in Puerto Rico and the Virgin Islands. 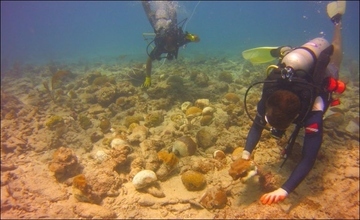 NOAA’s National Ocean Service has been working to assess the damage and reattach coral heads when possible. A new mission from FEMA will involve propagating corals in nurseries and transplanting them to impacted reefs. The Open Ocean Trustee Implementation Group for the Deepwater Horizon Natural Resource Assessment has approved its Final Restoration Plan I and Environmental Assessment: Birds and Sturgeon. The plan will fund three projects, at an estimated cost of $16 million, intended to help compensate the public for injuries. Representatives from NOAA’s Marine Recreational Information Program and GARFO will be available to answer your questions about estimating recreational catch at upcoming saltwater fishing shows. Find us at the Saltwater Fishing Expo in Edison, New Jersey, March 15–17, and the New England Saltwater Fishing Show in Providence, Rhode Island, March 22–24. 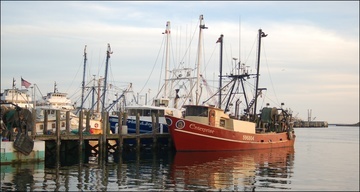 By March 22, please submit your comments on a proposed rule to approve sector operations plans and contracts from 20 groundfish sectors for the 2019 and 2020 fishing years; grant regulatory exemptions to improve the efficiency and flexibility of sector vessels; approve the formation of a new groundfish sector; and allocate annual catch entitlements for 2019. New stock assessments for northeast summer flounder and Atlantic striped bass are ready for use by fishery managers in the region. Both are “benchmarks,” which are the most complex and thorough form of assessment. NOAA Fisheries announces final 2019 specifications for the Atlantic bluefish fishery. These specifications are very similar to 2018, with only minor adjustments to the final commercial quota and recreational harvest limit, and an adjusted sector quota transfer. 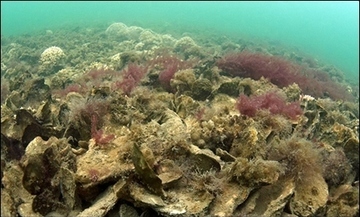 Oysters and oyster reefs provide important benefits to the Chesapeake Bay ecosystem, including better water quality. Recently, NOAA scientists noticed a potential correlation between locations where large-scale oyster restoration is underway and places where satellites have noted clearing water. They are working to learn more. Saltwater Fishing Expo in Edison, New Jersey. NOAA Fisheries at Seafood Expo North America in Boston. Fishers Forum hosted by the Western Pacific Fishery Management Council in Honolulu. Public hearing via webinar on proposed Shrimp Amendment 18, hosted by the Gulf of Mexico Fishery Management Council. NOAA Fisheries at the New England Saltwater Fishing Show in Providence, Rhode Island. Pre-proposals due to establish Gulf, Pacific, and Atlantic regional oyster research consortia. Letters of Intent due for Sea Grant’s Exploring New Aquaculture Opportunities funding.